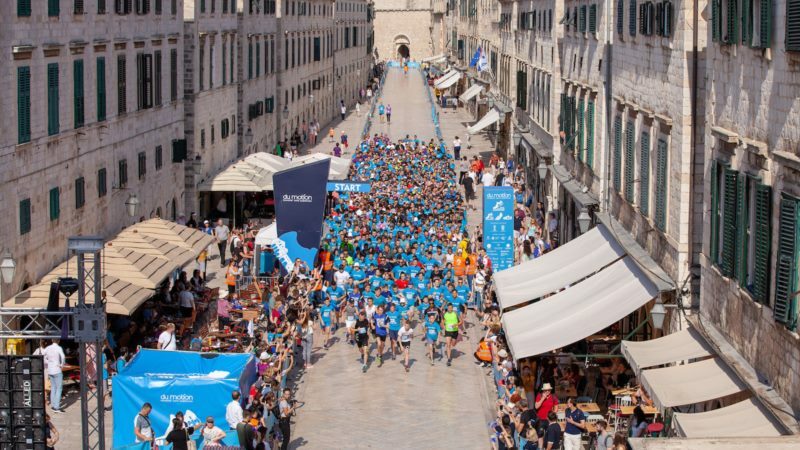 The fifth edition of the sports and recreational event Du Motion - Runners' Days in Dubrovnik, a two-day event that has firmly put the city at the foot of the Srđ Mountain on the global destination map for active vacations, is drawing ever closer. The program for the 27th and 28th of April includes the popular Dubrovnik Half Marathon, the challenging Run the Walls, the humanitarian 5K run and the Children’s Race, as well as the Du Motion Expo, the Du Motion Chat with prominent international names from the running world and other exciting accompanying events. The interesting panoramic race course passes through the historic city core and along the Dubrovnik coastline, with numerous amenities included in the race packages, the well-known Dubrovnik welcome and the atmosphere during the race are the reasons why the Du Motion participants this year come from almost 50 countries from around the world. That this year's celebratory edition will be truly special, is witnessed by the enormous interest of athletes and recreationalists, due to which the Dubrovnik Half Marathon and the Race the Walls is already sold out! But you can still join the most exciting Croatian racing event in marking its first 5 years. Sign up for the 5K charity Citizen Race, which is being run this year to raise awareness of the need for greater caution in traffic. For more information, see the official website http://www.du-motion.com/hr/ .